I believe we have this feature. You can also setup your form to let your users upload a file and send it directly to your Dropbox account. 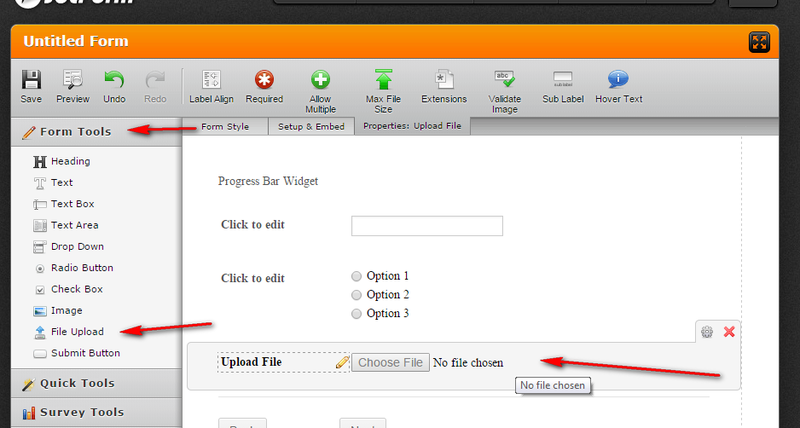 Here's a screenshot of the JotForm editor where you will see the "Upload File" field. I would recommend that you explore that Form Builder/Editor that we have so that you can understand the features that it has, most of the what users' needs like different form fields, payment integration, plugins, email notifications are available here. I hope this helps. Let us know if you need further assistance on this.